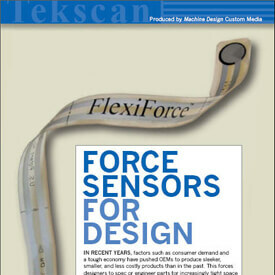 Thanks to the unique construction and operational capabilities of FlexiForce sensors, Tekscan can create custom-designed force sensors to meet your specific OEM needs. Geometry: Sensors can be designed in a variety of shapes and sizes. 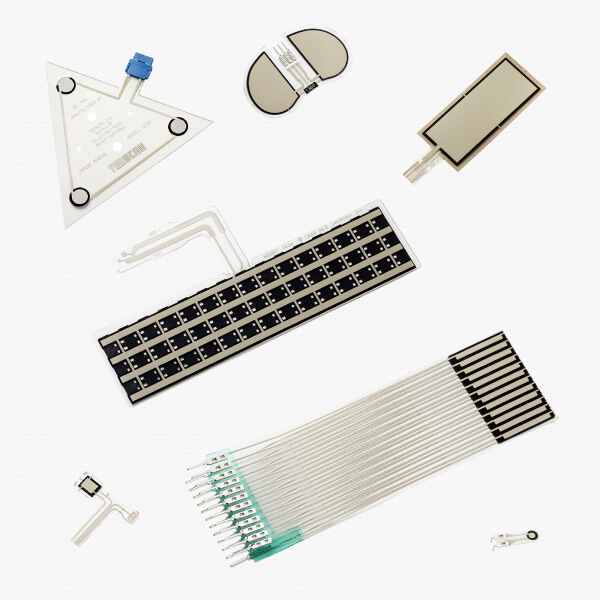 Designed for different connection methods: This article shows several ways FlexiForce sensors can be terminated to the space and budget needs of any application. Integration support: Our team of mechanical, electrical, and application engineers is here to ensure a successful product integration. If our off-the-shelf force sensors don't meet your requirements, we invite you to discuss custom solutions with our team of engineers. Thanks to the unique construction and operating capabilities of FlexiForce sensors, Tekscan can create custom-designed force sensors to meet your specific OEM needs. Tekscan Sales & Applications Engineers with gather the broad design specifics for your sensor customization project through a brief questionnaire. This baseline information will help us begin developing your custom solution. Tekscan Sales & Applications engineers will work directly with you to ensure your sensor design needs are met with regards to performance and budget. Tekscan will keep customers informed on expected production and delivery times throughout this final stage. Engaging with our team throughout the design process saves you time, money, and resources. This design collaboration results in a lower cost, shorter design cycle, and ultimately, a successful product. Meet Our FlexiForce Sales Engineers! Minimizing the overall project time of designing and embedding technology into a product or device – from prototyping to production implementation - is critically important in all types of industries. Setting yourself for success starts with gaining a clear understanding of the embedded technology you are working with to limit risks and ensure success. That's why we're pleased to introduce 3 Critical Resources to help ensure a successful integration of a FlexiForce force-sensitive resistor. Methods for mounting the sensor, and more! 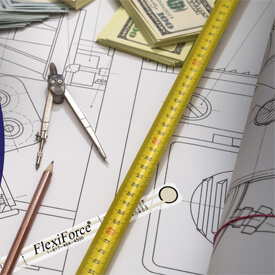 The "FlexiForce Integration Guide" picks up where the Best Practice guides leave off, providing total guidance throughout the integration process. This guide is the next best thing to having a Tekscan Applications Engineer at your side. Tekscan has an extensive pressure and force measurement product portfolio. We started manufacturing sensors and the associated software and hardware in 1987 and since then have continued to add new products and enhance our existing product line. If you have a requirement and the product does not exist today, we welcome a discussion about a potential custom solution. 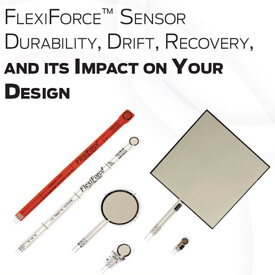 Let's get started on your next custom FlexiForce sensor project! This eBook offers insights on the various force sensing technologies and how to select a sensor and supplier to suit your product and support requirements. Hear real-world stories from companies who have adopted FlexiForce technology in OEM applications. 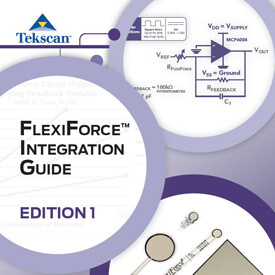 The official FlexiForce Integration Guide is the essential document for design engineers considering FlexiForce sensor technology as an embedded feature in their product or device. Don't design without it! What happens when FlexiForce sensors are activated over one million times, and under rigorous testing parameters? Find out for yourself. Explore both the direct and indirect costs of embedded force sensors, and learn the advantages from a cost perspective of selecting FlexiForce sensors for your embedded OEM application.